Maryland, Delaware, Virginia, West Virginia, and Washington D.C.
Today I want to share some research sources for the South Atlantic states of Maryland, Delaware, Virginia and West Virginia, as well as the District of Columbia. Many photographers who came to the lower South either came from or worked in these states in the upper South. The sources discussed below can help us piece together that puzzle – they can help us understand the lives and work of the photographers working in the lower South, and vice versa (see my recent posts on Alabama, Florida and Georgia in Part 1, and North and South Carolina, and Tennessee in Part 2). 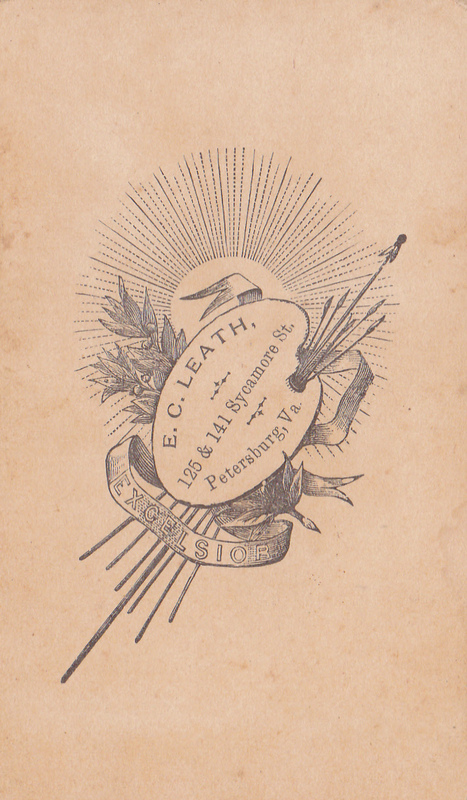 On this site you will find an announcement for Kelbaugh’s latest, a Civil War Maryland photo history, and most important for us, you will find here his “Free Directory of Baltimore Daguerreans.” This alphabetical listing of early Baltimore photographers includes biographical information, locations of operations, and business activity dates. 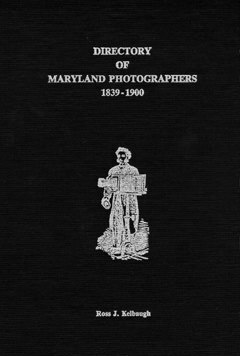 The online directory was issued earlier as Directory of Baltimore Daguerreotypists (1989), but the online list is more extensive. Kelbaugh published a related article, “Dawn of the Daguerrean Era in Baltimore, 1839-1849” in the summer 1989 issue (v. 84 #2) of Maryland Historical Magazine, pages 101-118. That article was reprinted in the Daguerrian Annual 1998 as “Dawn of the Daguerreian Era in Baltimore, 1839-1849” (The Daguerreian Society, 1998). Also available in print is his two-volume Directory of Civil War Photographers. The first volume of this set is the one related to my discussion today on resources for the states of the upper South. Directory of Civil War Photographers v.1: Maryland, Delaware, Washington, D.C., Northern Virginia, and West Virginia [Historic Graphics (ISBN-0-914931-02-4)]; his volume 2 covers the states of Pennsylvania and New Jersey [Historic Graphics (ISBN 0-914931-03-02)]. These two volumes in total contain over 3,000 photographers. Both volumes are paperback and spiral bound. The “Guide to the Photographic Collections of the Maryland State Archives” website http://tinyurl.com/mfhal3g gives researchers a choice of viewing an Index by Photographer, in addition to by Location, and by Keyword. The Photographers Index is at http://tinyurl.com/kwqschy Names link to photo or photos by that photographer, which may or may not be in digital form. As far as I know there is not a printed guide to Delaware photographers available. An older article in Delaware History (spring-summer 1979; v.18 #3) covers twenty-four early photographers of Wilmington, Delaware: “Daguerreotypists, Ambrotypists, and Photographers of Wilmington, Delaware, 1842-1859” by Jon M. Williams, pp. 180-193. The Delaware office of Clerk of the Peace once issued licenses to all kinds of retailers and merchants including Photographers. If you have an interest in a 19th century or early 20th century Delaware photographer, those records would certainly be worth pursuing. The lists of licenses issued were also published in the local newspapers. See also the previous entry for Kelbaugh’s Directory of Civil War Photographers v.1 under Maryland, which includes Delaware. There are many sources of information on Virginia photographers – an embarrassment of riches. There is only one printed publication I am aware of but I have never actually seen – it’s Louis Ginsberg’s Photographers in Virginia, 1839 -1900: a Checklist (Petersburg, Va.: self-published, 1986). This out-of-print 64-page checklist may be available on various used book sites or through a library. To be honest with you, I have never looked for it because so much else on the subject now exists. The Library of Virginia’s Virginia Memory website for their Online Photo Collections is at http://tinyurl.com/mxu8sfy and they are searchable by Creator (photographer). There are a few choices on where and how to search as they work toward combining their sites. The Library of Virginia’s sites also cover the photograph collections of several Virginia public libraries. 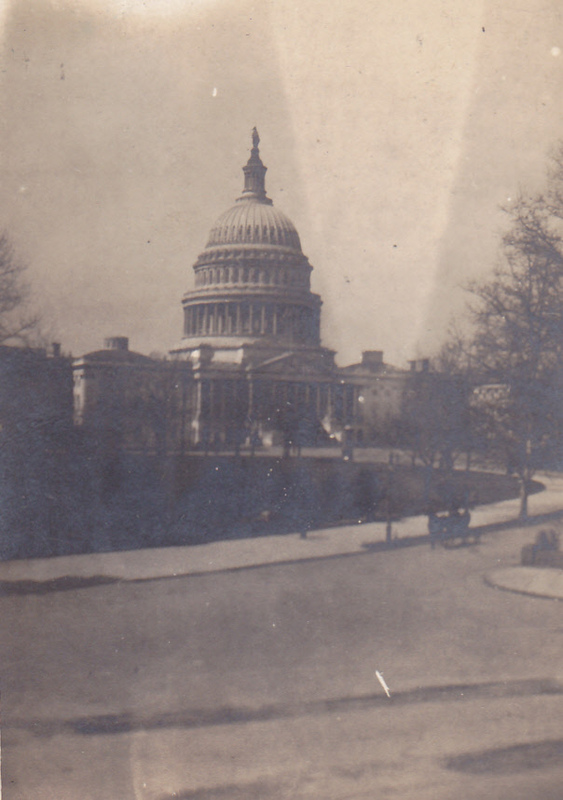 The Hamblin Studio collection, accessible via the Library of Virginia, numbers 1,365 images dating 1909 through 1979, and contains the work of four different photographers. Originals belong to the Suffolk Public Library. 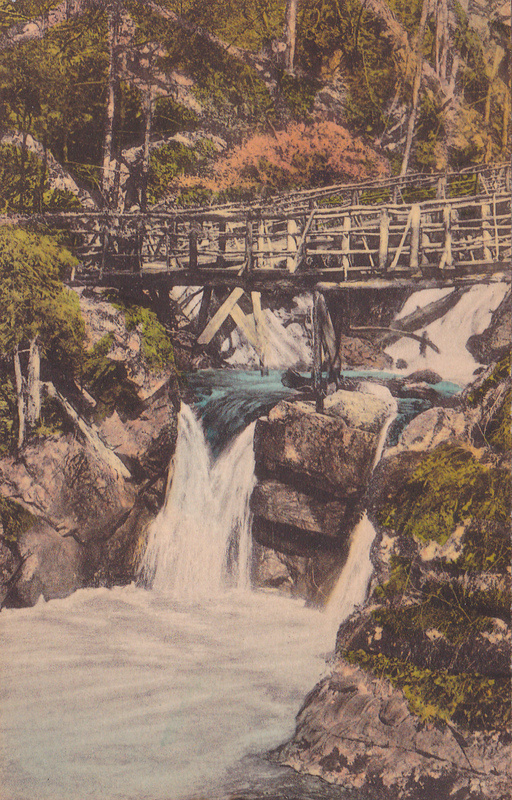 The “Memory” site provides access to digital images for collections of photos by particular photographers or studios, such as the later 20th century Adolph B. Rice Studio. 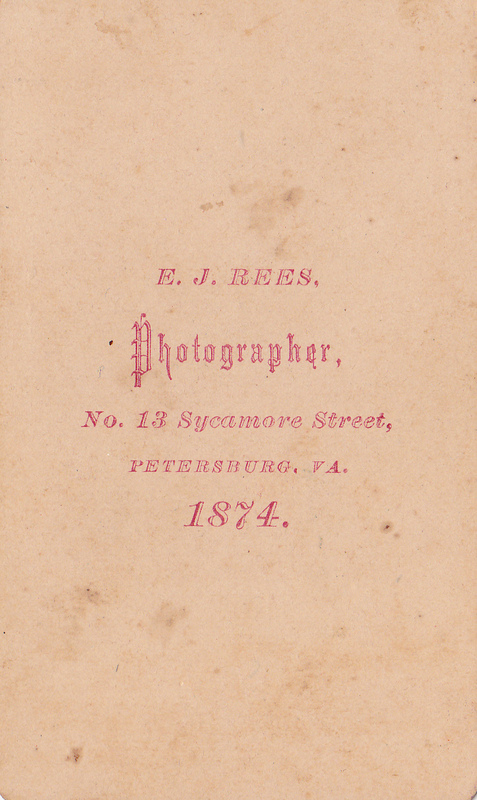 Additionally, works by earlier photographers are found in The Library of Virginia’s Stereograph Collection. These 318 images, 1860s – early 1900s, are by photographers including the E. & H.T. Anthony firm and Bell & Bro. of Washington D.C. The Virginia Historical Society has a good search engine on their website http://www.vahistorical.org/research/main.htm but they state that less than 5% of the collection has been digitized. Even so, a list of their collections that are in digital form thus far is at http://www.vahistorical.org/research/digitalcollections.htm Two collections that are entirely digitized are the W. W. Foster Photography Collection http://tinyurl.com/kc2o2jp and the collection of 19th Century Photographs and Lantern Slides http://tinyurl.com/mfzwafo These records include name of photographer when known. G. W. Pach & Brothers (photographer): Object in storage, please make appointment to view; 1999.40.31 Photograph, Amanda Louise Pearis. 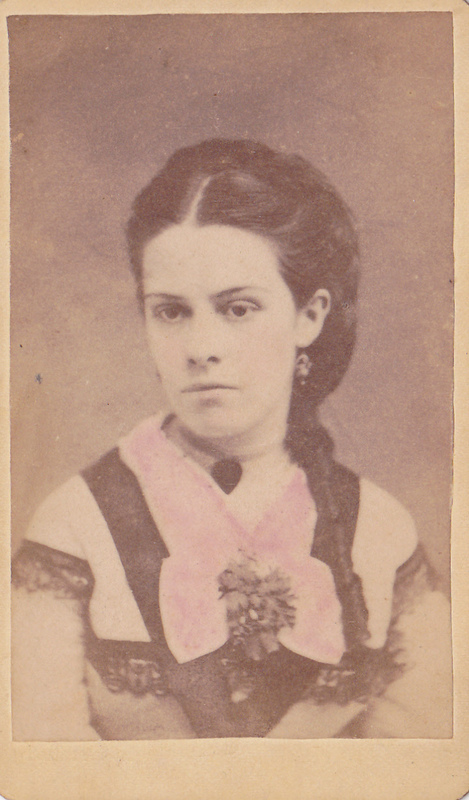 Inscribed on back, ” Roanoke, Virginia/ Nov. 1890/ Sweetheart.” Full-length photograph. The young woman wears elaborate dress with open, high collar, tight bodice, overskirt with two “knots” of material and pleated underskirt. Subject also has heavy curled bangs. 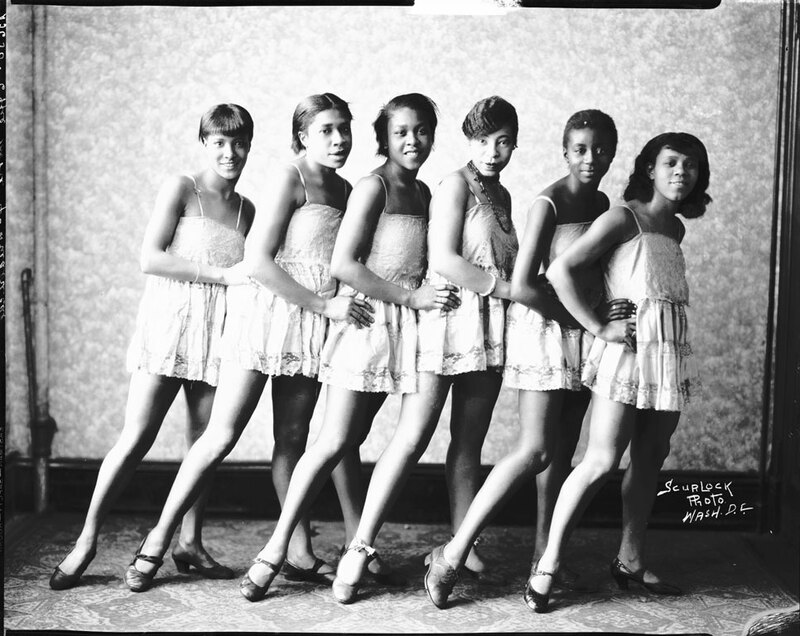 Virginia Commonwealth University’s website includes images belonging to the Valentine Richmond History Center. 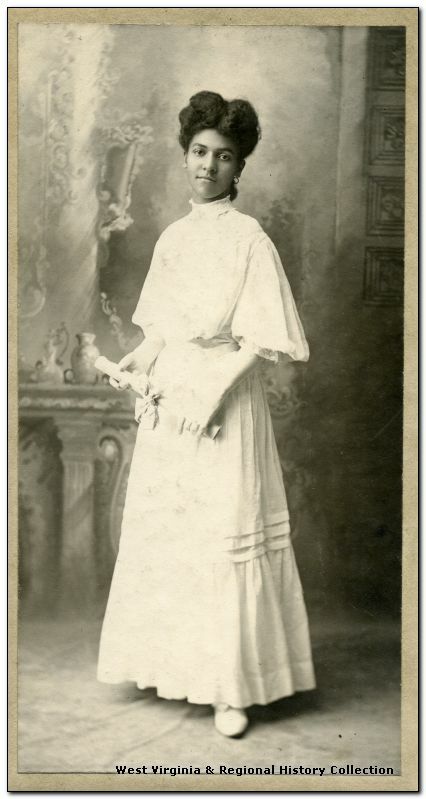 Of particular note is the online exhibit “Through the Lens of Time: Images of African Americans from the Cook Collection.” This digital collection has over 250 photographs of 19th and early 20th century African Americans, most of them taken in Richmond and central Virginia. 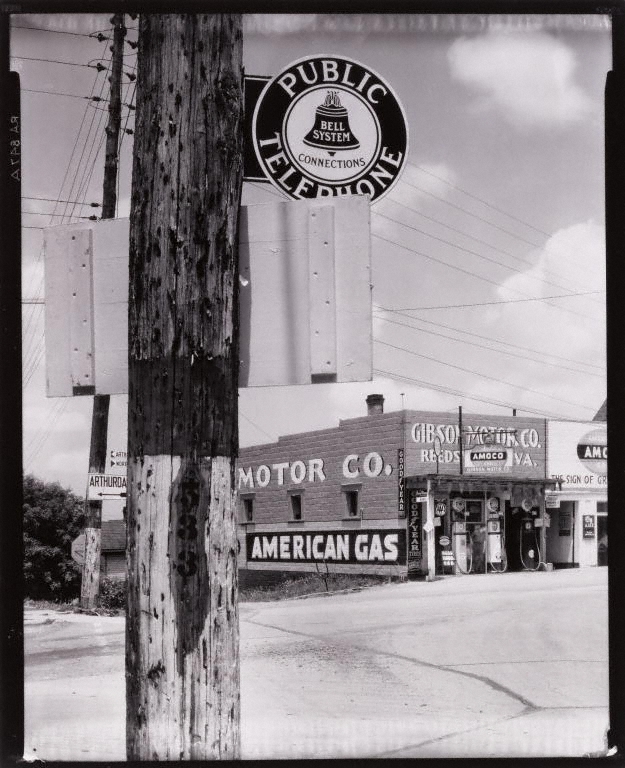 The images are from the George and Huestis Cook Photograph Collection at the Valentine. http://tinyurl.com/lswnqmg See also my related blog posts on this site about George S. Cook’s work in the state of Georgia. The Pickler collection of photos has been expanded and put onto Flickr at http://tinyurl.com/m68284m Adam H. Peckler (1840-1929) opened a photo studio in Lynchberg in 1877 and was that city’s foremost photographer for many years. He served in the Confederate Army and is known for his many images of Confederate officers. An older, out-of-print catalog folder for an exhibit at the Chrysler Museum, February 26 – April 23, 1989, “Mirror of an era: the Daguerreotype in Virginia” by Brooks Johnson, lists eleven Virginia and West Virginia daguerreotypists with some biographical information. Many, many Virginia newspapers from the 1870s to the early 1900s are on the Chronicling America website by the Library of Congress. These offer a great opportunity for another look at any photographer of interest. Do not overlook these! See also the previous entry for Kelbaugh’s Directory of Civil War Photographers v.1 under Maryland, which includes Virginia. The Archives’ Clippings Files Subject Listing is online and a file for “Photography…Photographers” is included. There is also a Vertical Surnames File list which should include some photographers’ names. The West Virginia History Collection http://wvhistoryonview.org/ can be searched by Creator name. For example, here are my search results on that site by simply inserting the name “Smith” in the search’s Creator field: http://tinyurl.com/mf367yz Although the majority of the hits are for what seems to be a large collection of 20th century photos taken by David L. Smith, there are some earlier photographers represented. Two West Virginia newspapers, covering the 1850s to 1890s are on the Library of Congress’s free Chronicling America site. These should provide another good look at any 19th century W.VA photographer who interests you. The subscription site Genealogy Bank has two other newspapers covering the 1870s to late 1890s. See also the entry under the Maryland listings above for Kelbaugh’s Directory of Civil War Photographers v.1 which includes West Virginia. There are a number of resources in D.C. in which to research photographers working in all parts the country, and there are a multitude of sources using photos on various D.C tourist sites, as well as published books and websites on doing research there. As for sources that are restricted to only District of Columbia photographers, there are a few. An article by John Waldsmith on stereo photographers in “Washington City, D.C.” was published in Stereo World (July-Aug. 1893; v.10 #3) pp. 14-21. Laurie Baty’s “Photographers of Washington, D.C., 1870-1885” was her MA thesis for George Washington University, 1979. Access to this item is rather scarce: copies are held by George Washington U. and the Smithsonian Libraries, both in D.C., and by the George Eastman House in Rochester N.Y. I believe Ms. Baty has a more formal guide planned for publication, so look for that in the future. 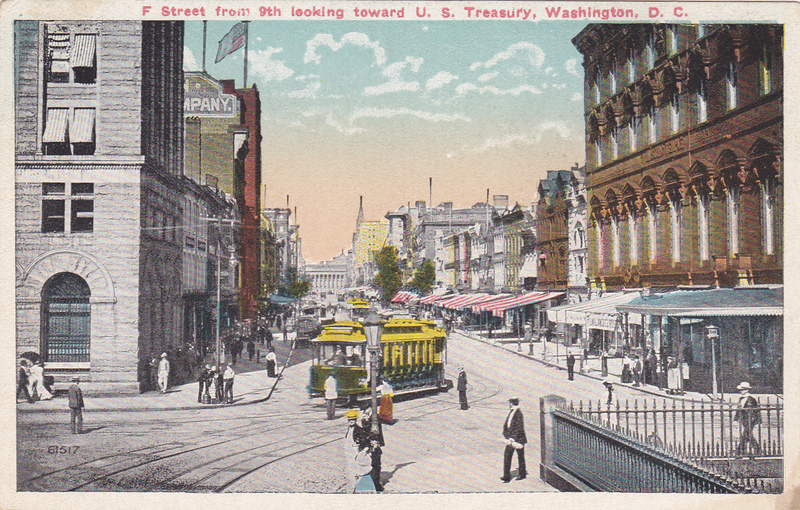 A single listing of all District of Columbia newspapers citing years of coverage, is at http://tinyurl.com/mmmwxjj The newspapers are a wealth of information on photographers’ locations, advertising styles, partnerships, etc. The list provides links to free newspapers, and for those that cost or need a subscription, where those newspapers are located. There are for-pay sites not listed on this site which also have D.C. newspapers: Ancestry.com, Newspaperarchive.com, Newspapers.com, and Newsbank (accessible at your library). See also the entry under the Maryland listings above for Kelbaugh’s Directory of Civil War Photographers v.1 which includes Washington, D.C. Well-known photographers, who worked in any of these states, before or during the Civil War, or after (Mattew B. Brady, Frances Benjamin Johnston, etc. ), are easily searched online and at your library. Publications and websites focusing other lesser-known photographers of the area should also be considered. For example, there is a wonderful book that relates to the areas I have discussed above, as well as to my previous post of August 6th, and that is The Appalachian Photographs of Earl Palmer, compiled by Jean Haskell Speer (U. Press of KY, 1990) isbn10 – 0813116953; isbn 13 – 978-0813116952). Palmer roamed the mountains of Kentucky, Virginia and West Virginia, Tennessee and North Carolina with his camera for over fifty years. Try not to forget the valuable city directories. Many of these are online via Internet Archive and Ancestry.com, and on other more local websites. Unfortunately some years are only on microfilm, or only accessible at an archive. They will help to track photographers’ studios and families. Next time I post a Tuesday Tips, I plan to discuss sources in what might be termed “the Border South states” of Kentucky and Missouri, so stay tuned, and Happy Hunting! I was excited to read about your blog in Ken Thomas’ column in the Sunday AJC. I’ve already bookmarked “Hunting and Gathering” and am looking forward to reading more. I’ve been researching photographers in the Savannah as part of my research of ancestors from that area. I’m finding some of these photographers really got around! Thanks for sharing your obsession! Thank you for your nice comment, Margaret, and for reading Hunting & Gathering! Let me know if there is a particular Savannah photographer you have questions about. I hope you got to read my latest post, there is on Savannah pho graphed mentioned! Interesting! You might want to take a look at my blog Family Alubum Journey >http://familyalbumjourney.blogspot.com/2013/06/mystery-woman-part-1.html&gt; where I’ve been doing some sleuthing with an old family album. I haven’t posted in a few weeks, but hope to do more as my schedule allows. I’m loving the city directories for finding out about photographers. Your link in the Maryland section to http://www.historicgraphics.com/ did not work for me. Does it work for you? Hi, it works for me from your message and worked when I posted. Sometimes these links become corrupted, and I will check it within the post and correct of I need to. Thanks for the heads up! Hi Nicole, I checked the link within the post and it worked for me. I am using my iPad now but I will check it from my laptop & desktop to see if I find a problem that route.